Planning In Conflict – Experiences With The Conflict. 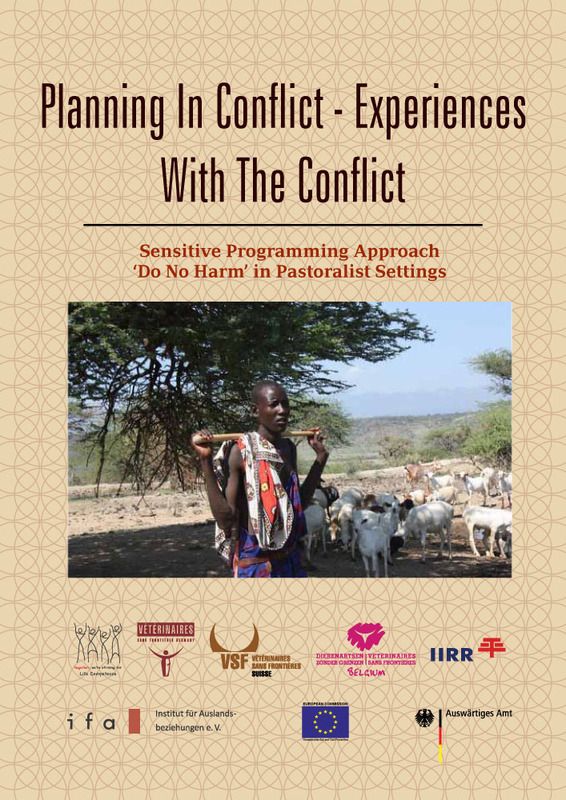 Sensitive Programming Approach ‘Do No Harm’ in Pastoralist Settings. Conflict sensitive programming is a cross cutting approach that can be integrated in any intervention (emergency, humanitarian, recovery or development) through the various sectors such as water, natural resource management, animal health, education, health and nutrition that may not necessarily be conflict related. Conflict sensitive programming requires that an organization demonstrates ability to understand its operational context, its interventions and interactions with that context and to ensure that its interventions minimize negative impacts and maximize positive impacts on conflict. 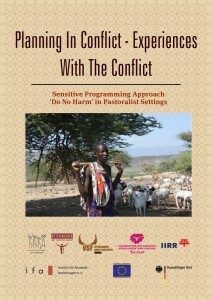 This book shares VSFs’ experiences and lessons learnt in conflict sensitive programming in pastoral settings by integrating the “Do no Harm approach”, Participatory Rural Appraisal (PRA) and components of conflict analysis tools. It captures the processes of institutionalization and application of the integrated approach into drought preparedness projects. We envisage that governments, donors and aid service providers working in emergency, humanitarian, recovery and development interventions will find practical experiences and outcomes of humanitarian assistance using conflict sensitive programming in cross border drought preparedness projects highlighted in this book useful to their work. We hope that the shared experiences will foster a better understanding of the interactions between aid assistance and conflict and how these interactions may decrease or increase the impacts on the conflict in terms of the peace building or conflict reinforcement even if it was not their intended or expected outcome.